I recently came across this blog post called “Humanizing Online Learning with Voicethread” by Michelle Pacansky-Brock which provides some great tips for using VoiceThread. VoiceThread is a collaborative and multimedia slide show that holds images, documents, and videos. It allows people to navigate pages and leave comments in 5 ways – using voice (with a mic or telephone), text, audio file, or video (via a webcam). VoiceThread can also be used as a communication or collaboration tool. 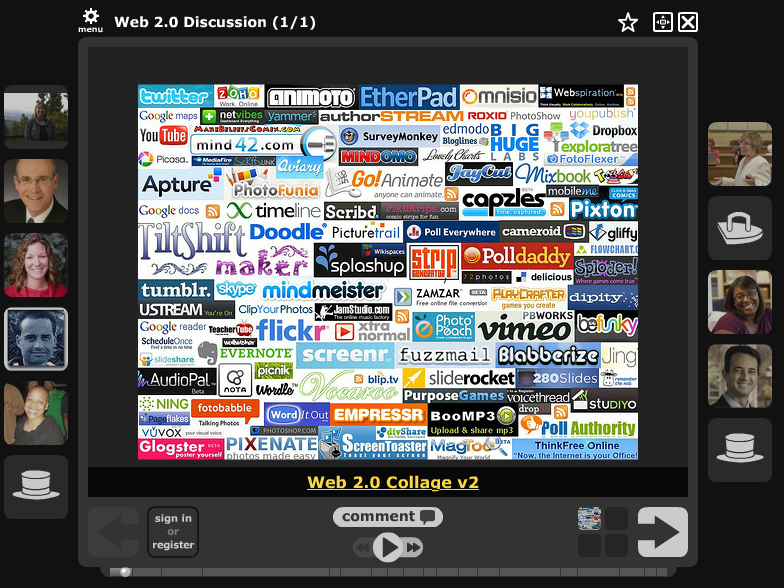 It is a very popular and powerful tool for “visual” collaboration. VoiceTheads can be embedded within your Blackboard course or you can simply post a link to your voicethread. The basic version is free.